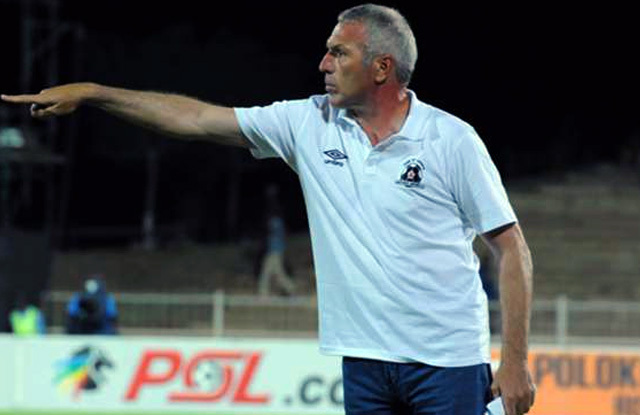 After Wednesday night's win over Ajax Cape Town, coach Ernst Middendorp has warned his charges that there is still plenty of work to be done. Thami Mkhize struck five minutes from time to give the Team of Choice a 1-0 win over Ajax, that result lifting United two points clear of the team now on the foot of the table, AmaTuks. Middendorp was pleased to have seen his side doing what they needed to do; keeping a clean sheet, and registering on the score-board themselves. "We had some chances here and there, which were not really taken. I think it was a fantastic free-kick in the end. "We wanted to win, I am not looking for goal difference or whatever. We wanted to win. We wanted to keep it solid, which was our very clear understanding, and I think in my opinion it was fully deserved," he explained. Maritzburg end their 2015/ 2016 campaign away to Jomo Cosmos on May 21, Ezenkosi in 14th spot, and just one point above the Pietermaritzburg side. To avoid relegation and the possible relegation play-offs, United have no choice but to beat Cosmos, which means there is still a lot of work to be done over the next 10 days. Middendorp is very much aware of this. "We have to start preparing now, now, now," said the German. "We have to keep focused. We have to keep them all under control. They are young human beings. Now is not the time for celebration. We have to be very, very clear and structured to do the job against Jomo. "I am actually very, very confident - with the energy and the desire I feel in the team, I am very confident we will make it."